Chicago – September 12, 2016 – G2 Crowd, the world’s leading B2B software review site, is pleased to announce that G2Crowd.com has received more than 100,000 verified user-reviews of business focused software; more reviews than any other B2B software review site. With the addition of nearly 50,000 reviews in 2016 alone, G2 Crowd is the largest and fastest growing B2B software review site in the world. G2 Crowd receives more than 700,000 visitors per month and the average visit lasts more than five minutes. Site visitors are researching or reviewing business software from more than 400 different categories and the content offered to those visitors is rapidly expanding. Business buyers and vendors around the world are continuing to find new ways to embrace the transparency provided by G2 Crowd. Thousands of software providers have enhanced their presence on the site. Those products are now sharing stories about using G2 Crowd reviews in their product development efforts, further establishing how transparency is benefiting the industry. 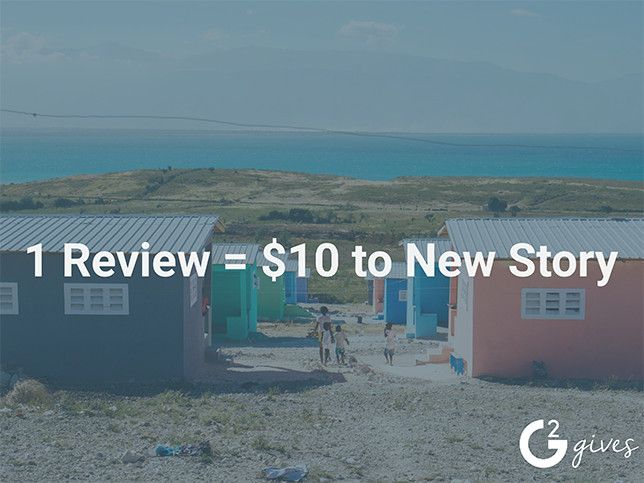 G2 Crowd, the world’s leading business software review platform, leverages its 100,000-plus user reviews to drive better purchasing decisions. Technology buyers, investors, and analysts use the site to compare and select the best software based on peer reviews and synthesized social data. Co-founded by the founder and former executives from SaaS leader BigMachines and backed by roughly $12 million in capital, G2 Crowd is driving authenticity and transparency to business technology research. For more information, go to G2Crowd.com.